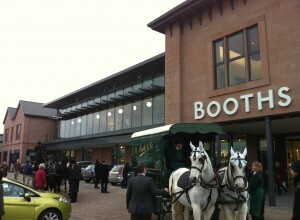 The supermarket was designed to be located at the western end of a new village centre car park. The design of the supermarket was conceived as a transition between the stone built Victorian vernacular of Milnthorpe village centre and the adjacent Industrial site. The eastern elevation needed to have strength in its design to be easily comprehensible from the new public footpath from the village centre. The design was developed with the east facing elevation conceived as a tryptich with a central stone built monopitched façade displaying the Booths logo. To the north of the monopitch roof was a flat roofed area for plant. The monopitched roof form concealed the rooftop plant both visually and acoustically from adjacent houses. 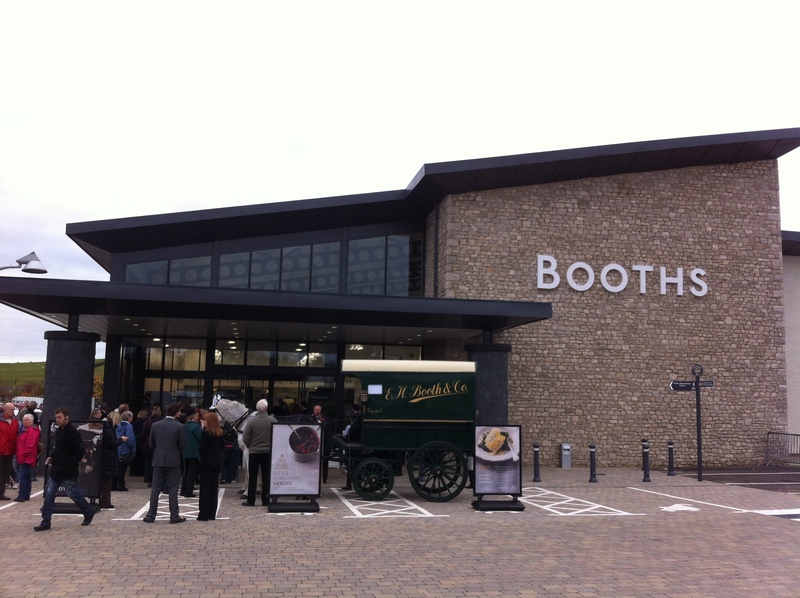 The southern part of the monopitch roof was set back to provide a large glazed entrance porch with two stone built columns to define the store entrance.